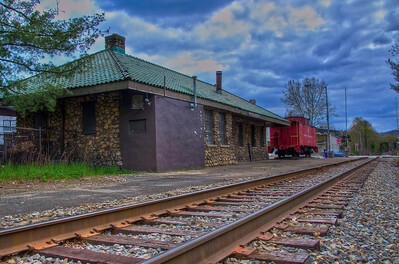 This station was built in 1927 to replace the original wooden train depot that was located on the other side of the tracks. 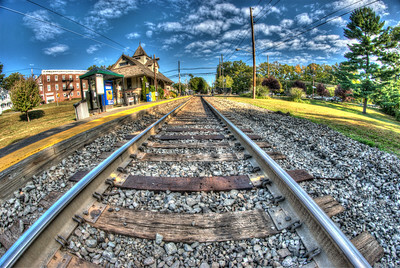 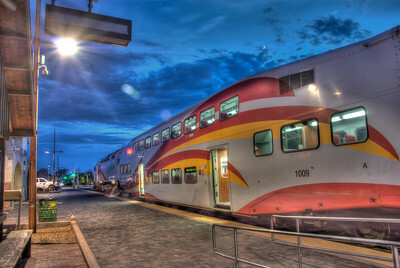 During the busiest days of the current train station there were 30 passenger trains that passed by the depot each day. 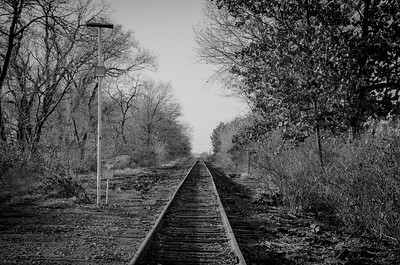 Commuters boarded a passenger train from here to travel to Newark, Paterson and New York City. 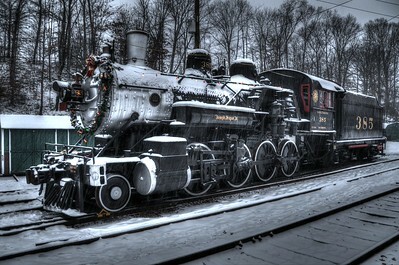 The railroad also carried students from Midland Park and Oakland who attended Pompton Lakes High School up until 1958. 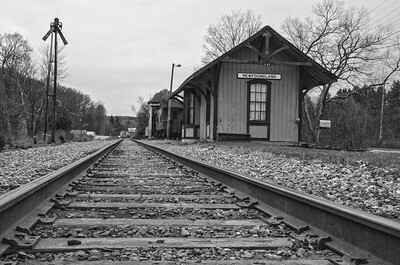 The passenger line here was discontinued in 1966. 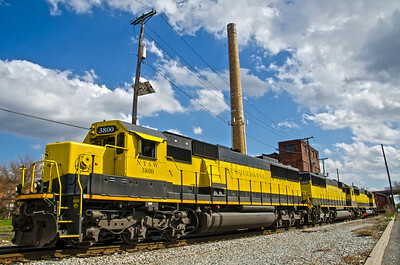 Currently, New York Susquehanna railroad commercial freight trains still pass by here on a regular basis. 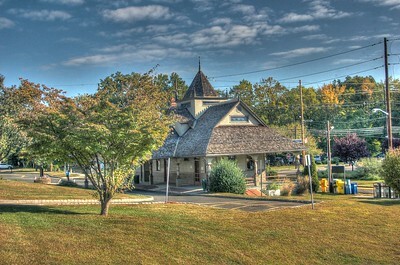 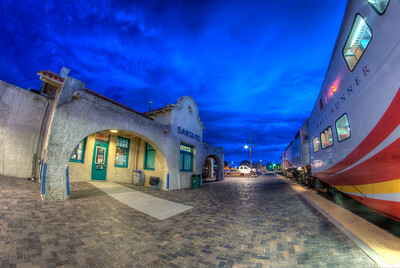 Over the years the depot has been used by retail and commercial tenants. 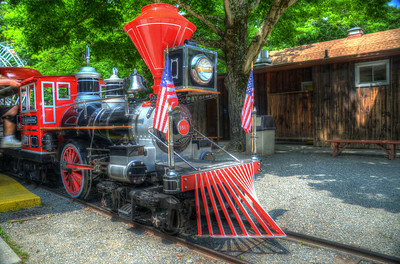 The caboose was placed here for show in 1988 - though it once ran on this rail line during busier times. 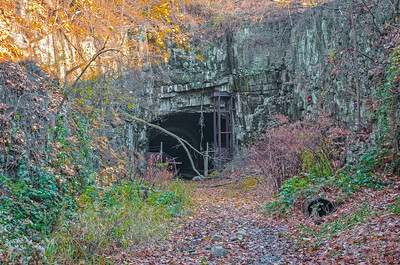 A trestle about a quarter mile to the south crosses the Wanaque River and can been seen to the far right in this photo. 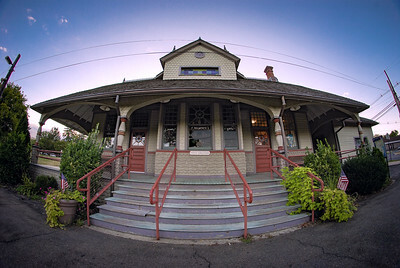 The depot is currently up for sale. 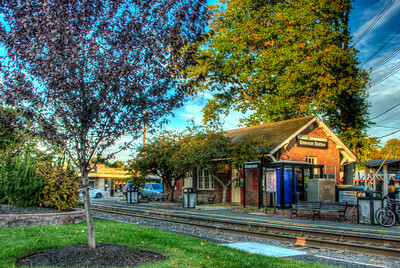 Source: Pompton Lakes municipal website. 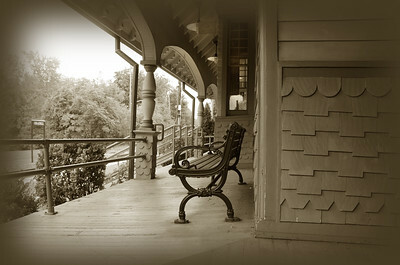 Located along the border of West Milford, Newfoundland was a resort destination in the early 1900's. 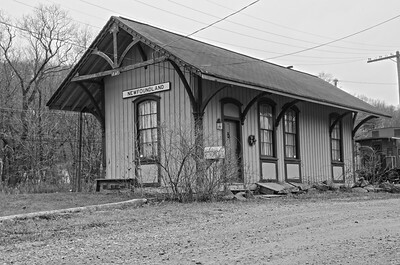 The Train Station was serviced by the NYSW railway which brought vacationing guests the the Newfoundland area. 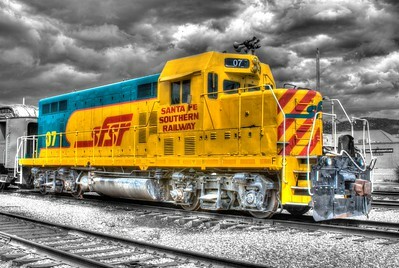 Though no longer providing passenger service, an occasional NYSW freight train still passes by. 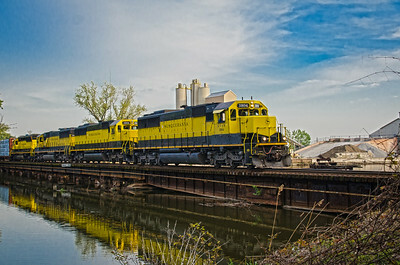 A freight train passes over the Hackensack River in Bogota, New Jersey. 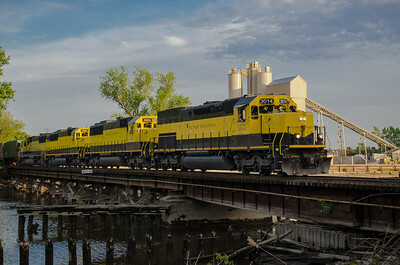 Originally constructed in the late 1800's, this bridge is still used regularly by freight trains running over the span a few times a week. 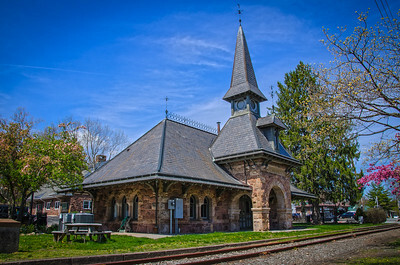 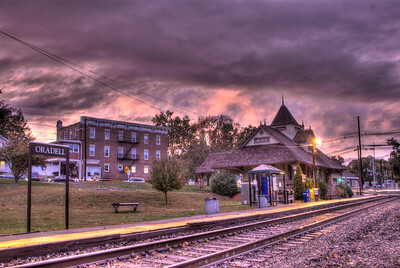 This train station was one of the southern most stops for the NYSW passenger line. 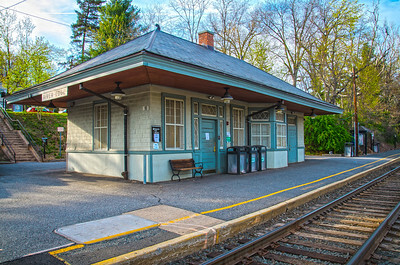 When passenger service on the line stopped in the 1960's this station was purchased by a commercial business that added on to the northern and eastern sides of building. 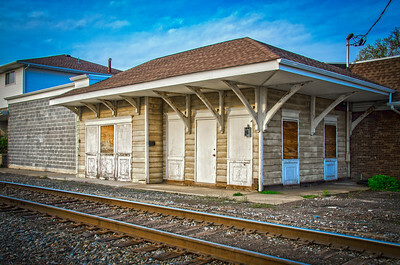 A major oil spill which occurred as the result of a tanker truck / train collision in 1996 has since left this station and it's attached buildings vacant. 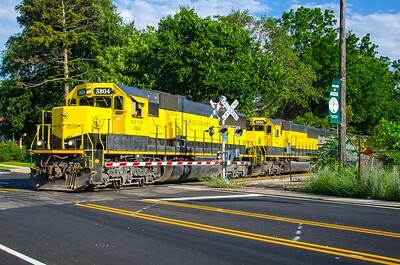 NYSW freight trains still pass by here regularly.